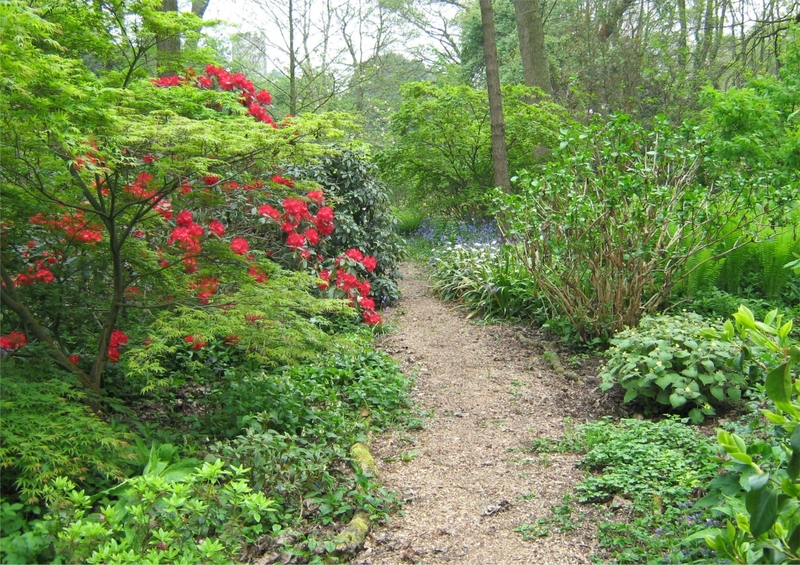 Lovely 5 acre garden, trees, shrubs (many rare and tender), herbaceous and 3 acre woodland garden with spring interest and late summer borders. Traditional kitchen garden (chemical free). Views to sea and Quantocks. 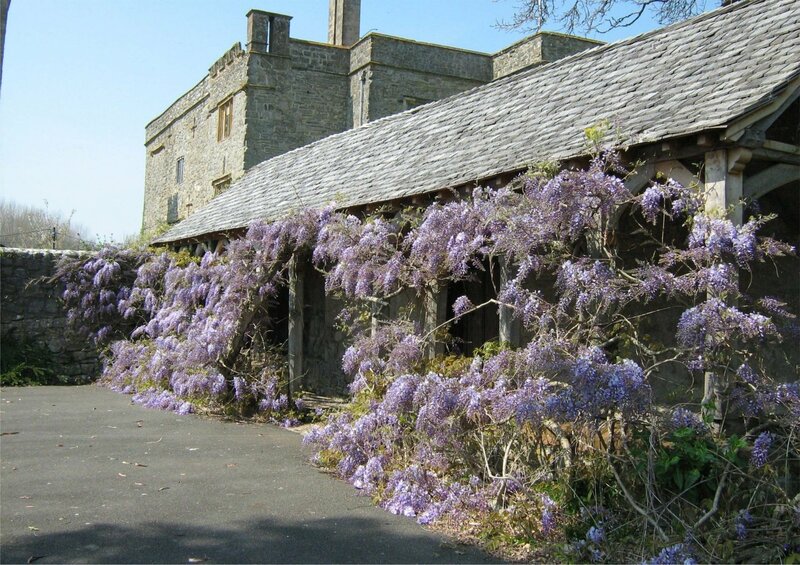 These gardens are spread in a wonderful setting on the coast below the Quantock Hills, where Sir Walter and Lady Luttrell developed them after settling in East Quantoxhead in the 1950s. Because of quirks in the history of the house, there was no historic garden layout to guide them, but their interests and imagination could have free rein. They had a great interest in southern hemisphere plants, many of which flourish here close to the sea. 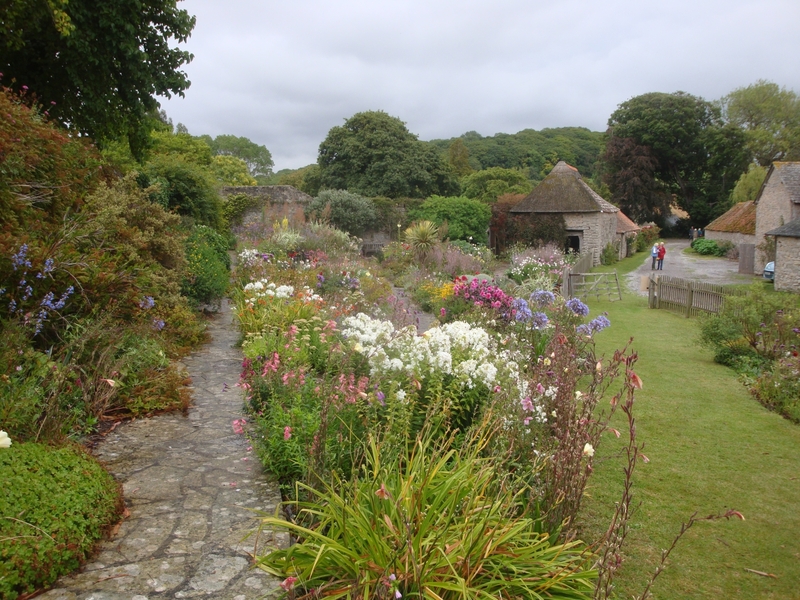 The herbaceous borders in the Church Walk are on a south slope with limestone walls behind and give colour year round, particularly in late summer with half-hardy Salvias. 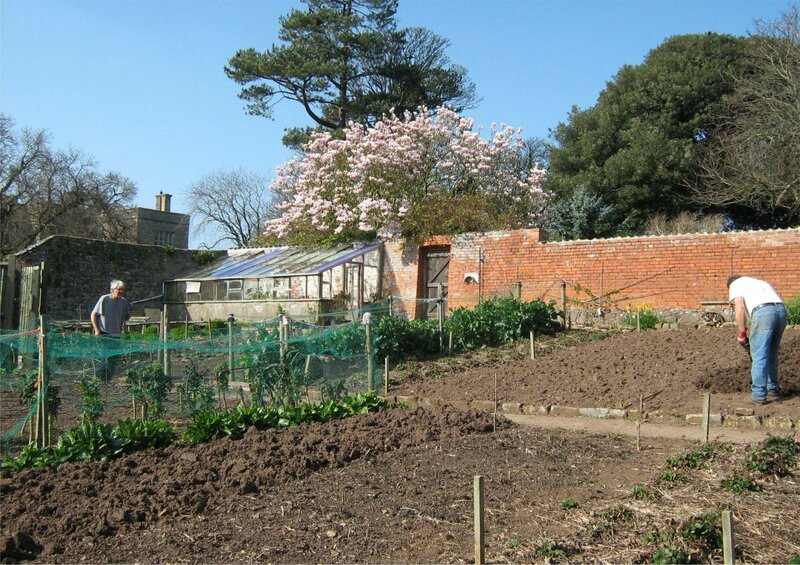 The kitchen garden benefits from the same warm aspect, yielding chemical free and decorative produce such as Sea Kale, Globe Artichokes and cut flowers. 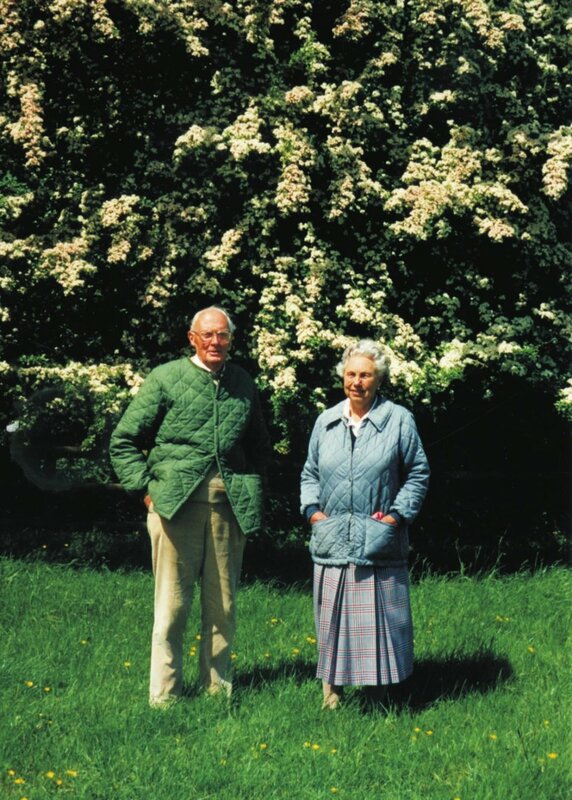 The Luttrells' most beloved creation was The Allers (local pronunciation for ‘alders’), a woodland garden planted to take advantage of a spring-line having created a small peat sink. Surrounding soils are calcareous but this acid area enabled them to plant the equivalent of a Cornish valley garden, under a canopy of mature poplars. 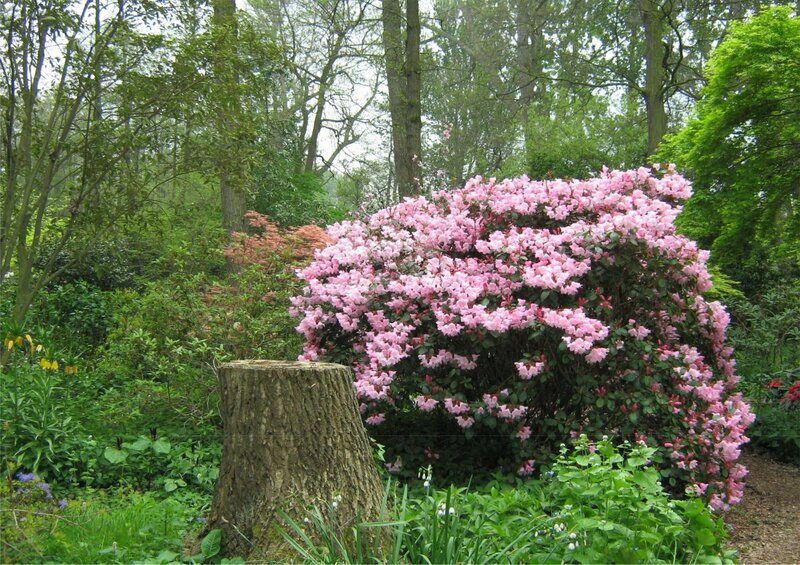 Here a beautiful selection of camellias, rhododendrons, magnolias and pale-flowered hydrangeas are coming into full maturity beside winding paths. 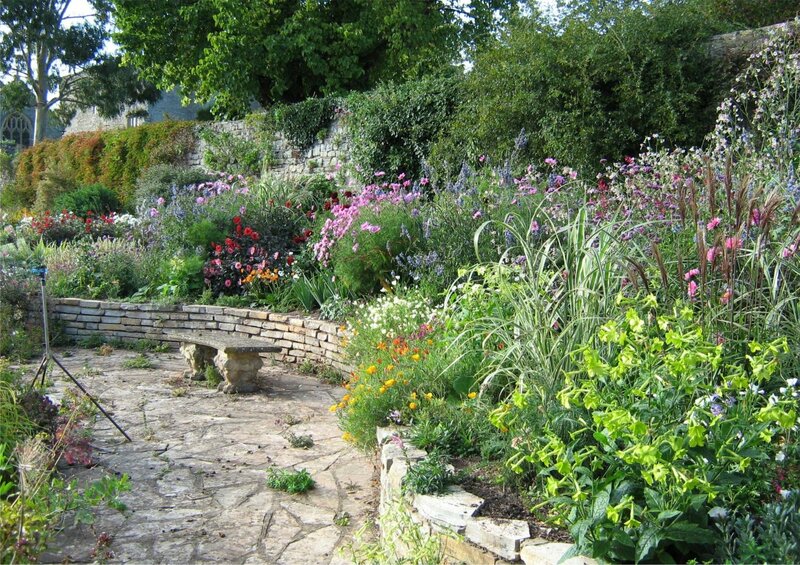 Garden tours for groups can be made by arrangement. Please call the Estate Office to discuss. For other opening times and information, please phone or email. Off A39, house at end of village past duck pond. Enter by Frog Street (Bridgwater/Kilve side from A39). Car park £1 in aid of church. Gravel, stone and some mown grass paths.